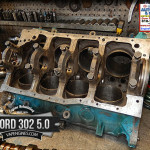 Ford 302 5.0L V8 16V engine rebuild project. 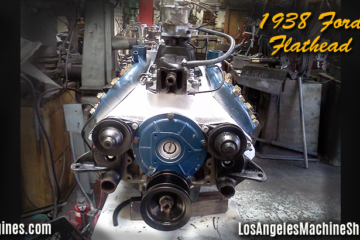 This is a popular engine model, we get them in regularly, they run in various cars and trucks from 1968-2000. We tear it down, give it a hot tank and scrub it up. 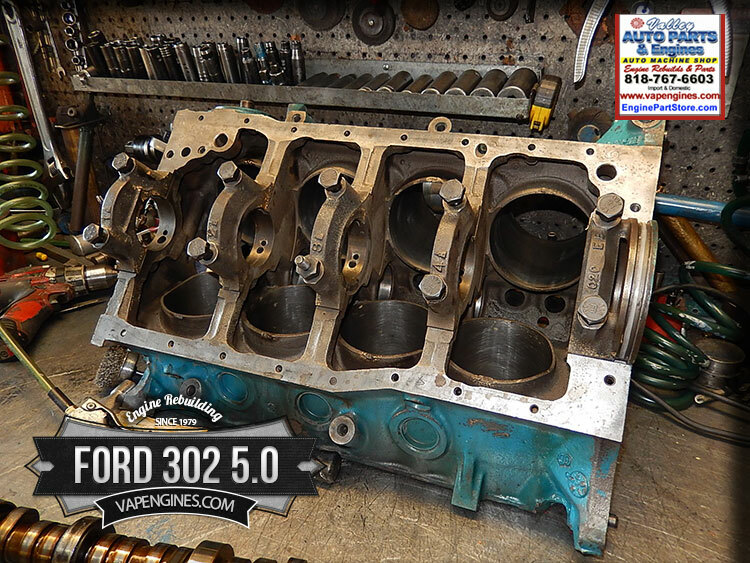 Machine Services: Bore & hone the block, deck the block, grind the crank and cam. 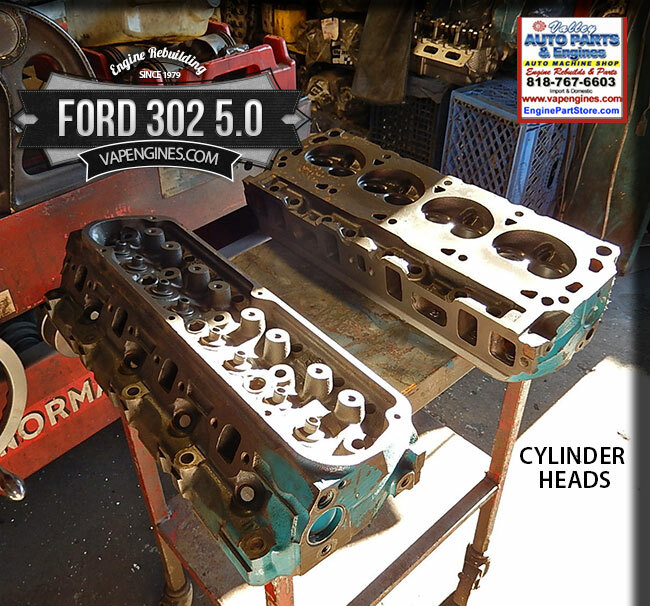 The cylinder heads get a valve job with resurfacing, grind valves, grind seats, magnuflux, install valve stem seals, pressure testing, clean and assemble. 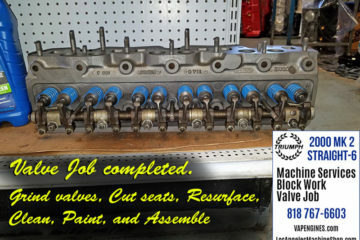 Rebuild gets new pistons, rings, gaskets, bearings, freeze plugs, oil pump, and timing kit from the Engine Rebuild Kit. Put it back together, slap on a coat of new paint and this project is ready to go. 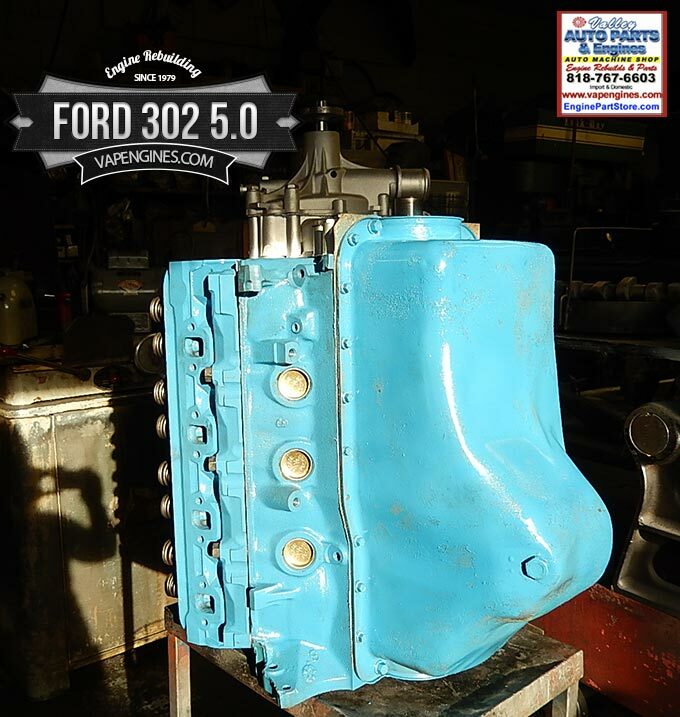 Need your Ford 302 rebuilt? 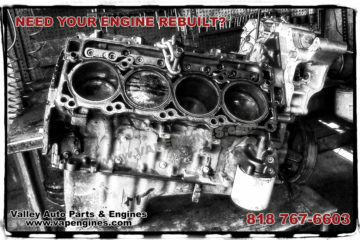 Call us 818 767-6603 for a Free estimate on your rebuildable core. Doing it yourself project? 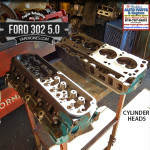 We have Ford 302 5.0 V8 engine rebuild kits at great pricing and Free shipping to lower 48 U.S. States. 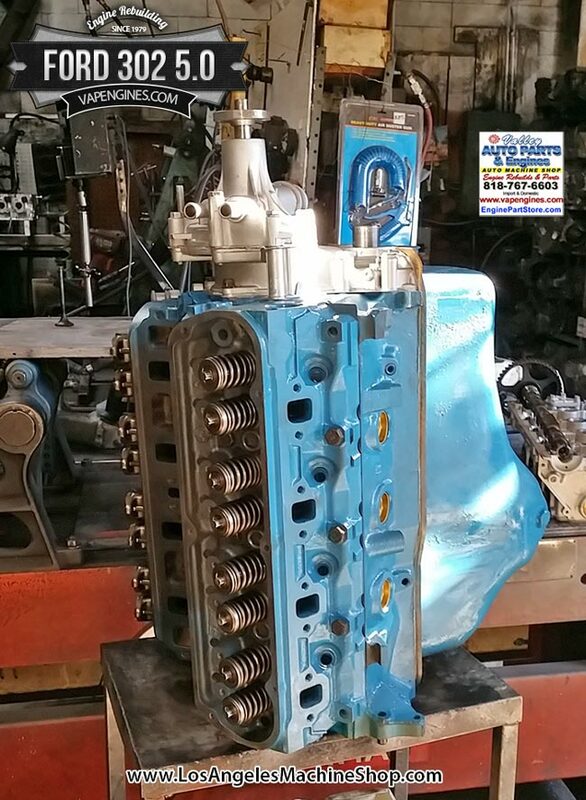 Machine Service provided for your DIY project- Block work, Grinding, Resurfacing, Decking, Cylinder head repairs, call us with your situation. Work performed, you pick it up and do the assembly in your garage. 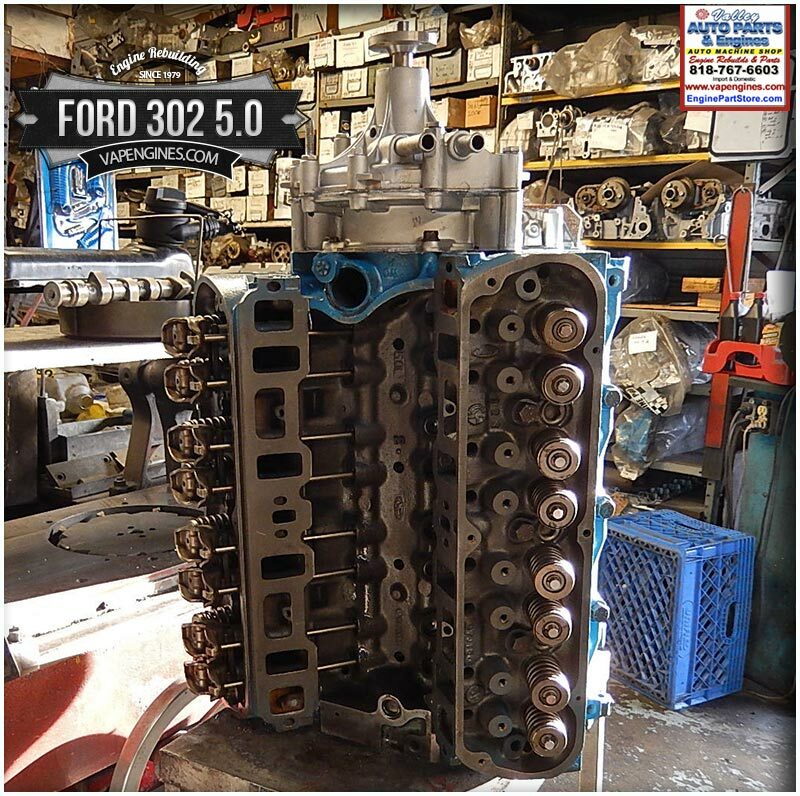 We carry a full line of automotive parts to rebuild your Ford 302 5.0, call or stop by. 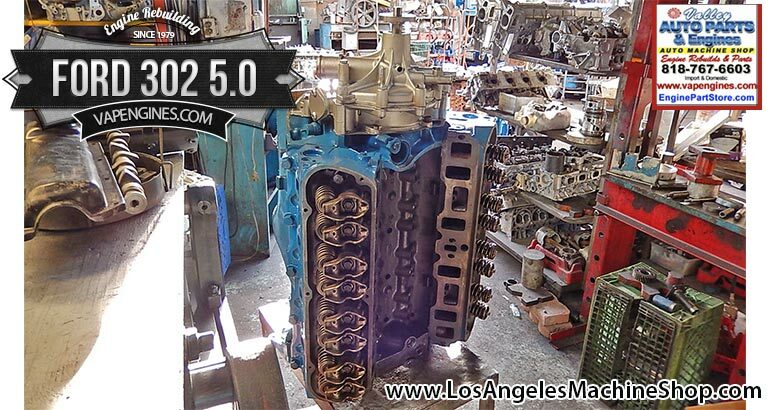 Best pricing in an engine kit, but buy just the parts you need. We ship nationwide and internationally. 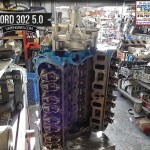 Prefer email, use the Contact form for a Rebuild Estimate or Engine kit and parts prices. 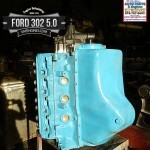 Sample Ford 302 Engine Kit, click photo to BUY! 68-72 Ford 302 5.0 V8 engine rebuild kit. 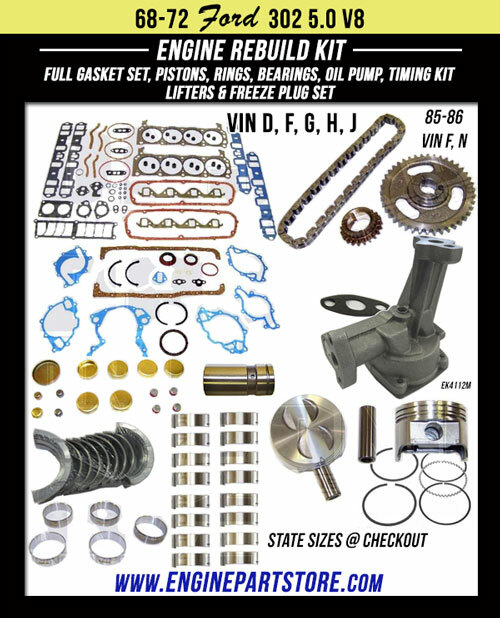 Full gasket set, pistons, piston rings, engine bearings, lifters, freeze plugs, oil pump and timing set. 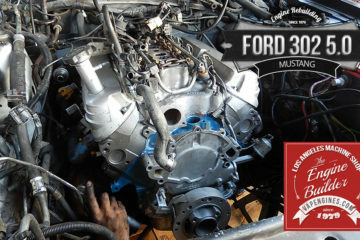 Fits many models, plus 85-86 Bronco, E series Van, F Series trucks. Best prices, Free shipping to lower 48 states. 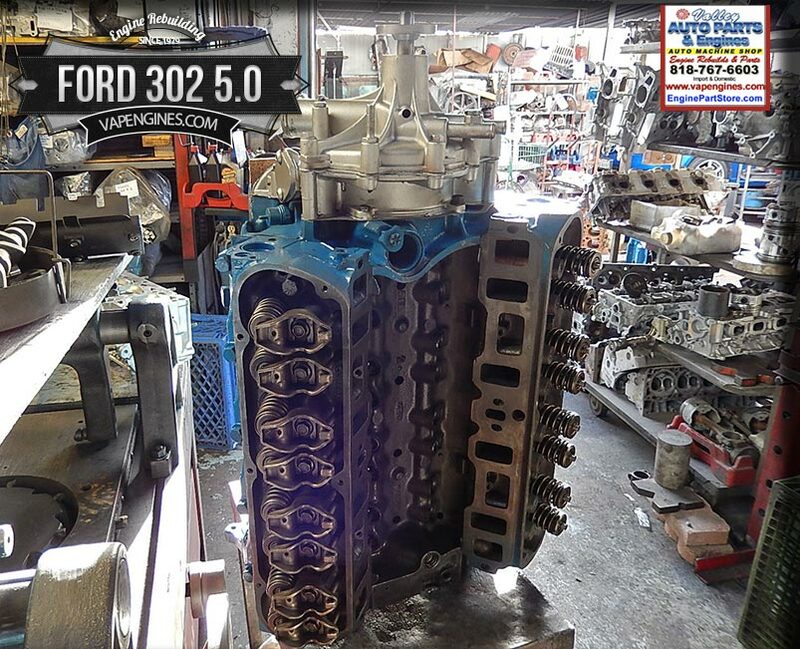 Looking for rebuilt 5.0 302 for a 89 LX mustang. 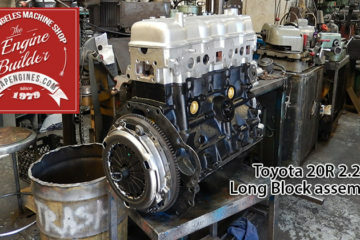 Short block. 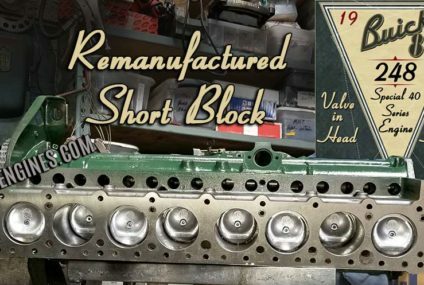 How much is a short block going for? Thanks Isaiah for requesting a quote. I will email you directly.